Step by step to your new hearing system. Do you have the feeling that you don’t hear very well anymore? When you’re in a group of people, do you find it difficult to follow conversations? We’re very glad that you are looking into our hearing systems, because that’s the first step on your journey to better quality of life through effortless hearing and comprehension. But don’t delay: have your hearing checked by a professional. The longer you put off your visit to an audiologist or ENT professional, the longer it will take for your ears to get used to those forgotten frequencies again. Take the opportunity to seek professional advice, and find out what exactly you can do about your hearing loss. Hearing tests are the first step on the road to better comprehension. They provide information on how well you can hear, and on your individual acoustic needs. Your audiologist will determine these on the basis of audiometric measurements. These tests provide the basis for professional consultation. 2. Consultation with your hearing systems professional.. When it comes time to select the right hearing system for you, your audiologist will support you in many different ways. He or she will take not only your hearing test results into consideration, but also your personal preferences and your lifestyle. Your audiologist will want a precise idea of your everyday life: Do you spend a lot of time outside in nature? Do you play sports? Do you like to listen to music? Do you play an instrument? Do you often go to movies or the theater? Do you travel a lot? Finding out which situations the hearing system will be used in is a crucial part of the adjustment process. 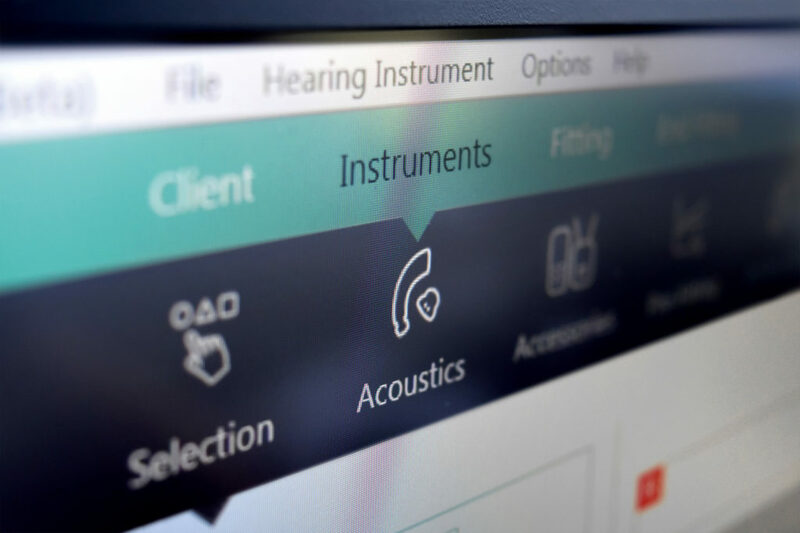 Audiological tests will tell your audiologist exactly how a hearing system will be able to compensate for your hearing loss, and to what extent. 3. Adjusting your hearing system. After that, your audiologist will use a computer to program the hearing system you have chosen, based on your specific needs and your individual test results. Then you’re all set to start testing your HANSATON technology out in the real world. If necessary, you can have it adjusted again later on. Some HANSATON hearing systems are worn behind the ear; others are worn in the ear. Talk to your audiologist to figure out which type will fit your needs better. Click here for more information about the different hearing systems, arranged by model type.